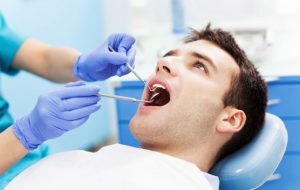 When a patient goes to the dentist for a regular check up and cleaning, they may expect to walk away with a new toothbrush, or a new appointment scheduled, but rarely does anyone expect to leave a dentist’s office with Hepatitis C. This was the case for one unfortunate woman in Bellevue, Washington this month. While the manner in which the woman contracted this virus may seem peculiar and a bit farfetched, this is a particularly serious matter. Hepatitis C is a common illness in the United States. There are over 200,000 reported cases of the viral infection per year. It is treatable, however, it can be difficult to detect symptoms, and some may not realize its presence until the infection has already begun attacking the liver. Hepatitis C is particularly dangerous, claiming responsibility for nearly 20,000 deaths in the year 2014. Hepatitis C is spready through blood, and contact with other bodily fluids. It is most commonly transmitted by the sharing of needles, or unsterile tattooing equipment, and in this case, cross-contamination of medical equipment. The process by which diseases and illnesses are spread through improperly sterilized medical equipment is known as cross-contamination. Cross-contamination can happen frequently in hospitals and doctors offices. In one particularly unfortunate example, a hospitals endoscopy equipment was responsible for the growth and spread of a superbug, a bacterial infection that is particularly resistant to antibiotics. In the case of the woman who has contracted Hepatitis C, authorities are still investigating how this may have happened. The woman, who wished to be identified only as “Sandra,” now feels for her own safety and the safety of those around her. She was contacted by the dentist’s office shortly after her routine check up. They advised her that there may be a risk of a cross-contamination, and that she should be tested for Hepatitis A, B and C, as well as HIV. Sandra ended up testing positive for Hepatitis C, and immediately sought help from an attorney, who has since launched an investigation into how this incident may have occurred. The dental clinic has offered no further responses on the matter, although they did report that they are not aware of any other affected patients. When a doctor makes an error in their practice, it is sometimes grounds for a case to be filed against them. Doctors have a responsibility to their patients to take the utmost care possible when treating them. When a patient encounters a medical error, it can be dealt with in the court of law. Medical errors can be handled by two types of cases: medical malpractice and personal injury. Medical malpractice cases typically deal with medical and surgical complications and their side effects. However, some medical errors that cause further injury to the patients may be brought against a defendant as a personal injury claim instead. The best way to determine how to proceed is to consult with an attorney. If you or a loved one has been injured in New Hampshire, contact NH’s top personal injury lawyers at Tenn And Tenn today to discuss your claim with a member of our team.